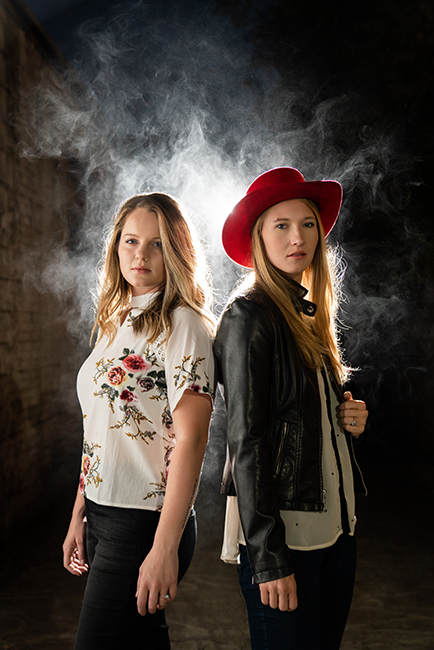 It had been a few months since I had the chance to sit down with Courtney Lynn and Jocelyn Quinn Russell, the married duo that heads the four-piece folk and soul band, Courtney Lynn & Quinn. When I met them on a recent Thursday evening, I could tell a lot has changed in terms of growth of the band and setting new goals. 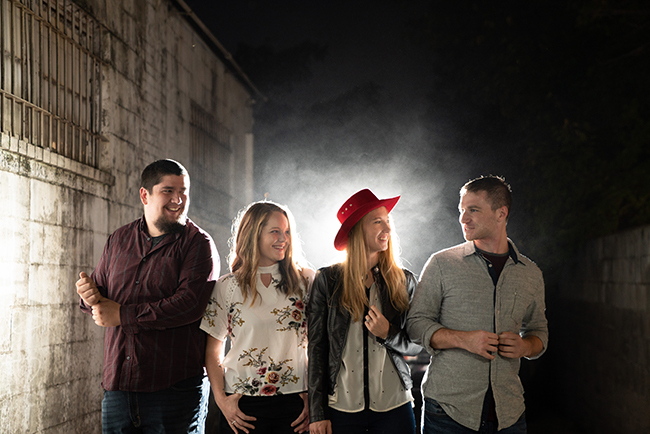 When I had last seen them back in September, they had just come off of playing Carolina Jubilee in Harmony and had their eyes set on starting the process of recording a new EP. With drummer Steve Cornacchia and the addition of Luke Barnette on bass, the folk outfit stepped into the studio to begin recording on Jan. 29. As many up-and-coming musicians may know, it’s not easy to get the dough together to pay for studio time, so the band has set up an Indiegogo campaign to help themselves get through some of the financial barriers. Studio time, musicians, mastering, producing, distribution and copyrighting all add up when it comes to releasing an EP, but donations toward the $1,500 goal won’t go unnoticed. Donors will receive “gifts” from Courtney Lynn & Quinn, which vary from early access to the EP ($15) to signed lyric sheets ($75) to a private in-home show for anyone with a heart generous enough to shell out $500. The EP is titled Remiss, a reference to a lyric in one of the tracks but also an underlying theme in the entire collection. “Some of the songs are about my own remiss, my own lack of attention or lack of care with relationships that I’ve had; and some of those songs are about other people’s lack of care with me,” Courtney Lynn explained. Although it’s not the pair’s first time in the studio together, it is the first time they’re going in as partners in the process. For Courtney Lynn’s debut album, Wander Years, Quinn provided backup vocals and harmonies on a handful of tracks. But now, it’s a project in which both have equal artistic discretion. According to Courtney Lynn & Quinn, Remiss will be darker and more soulful than the sweet and innocent tracks of Wander Years. Another difference between the debut solo album and Remiss is that the band has had many more shows and performances under their belt before stepping into the studio. That doesn’t mean they don’t have time for more shows as the full band is performing at Hattie’s Tap & Tavern on Feb. 16. One day, they hope to be one of those signed bands that they’ve played with at shows like Carolina Jubilee. For now, their sights are set on getting into Neighborhood Theatre, Visulite and the U.S. National Whitewater Center. After the EP drops, the goal is to book festivals and more shows. Remiss may be the stepping stone into those venues and booking that mini-tour, which they said would be in and around the South. If their live performances are any indication of what to expect on the EP, then it’s a step in the right direction.